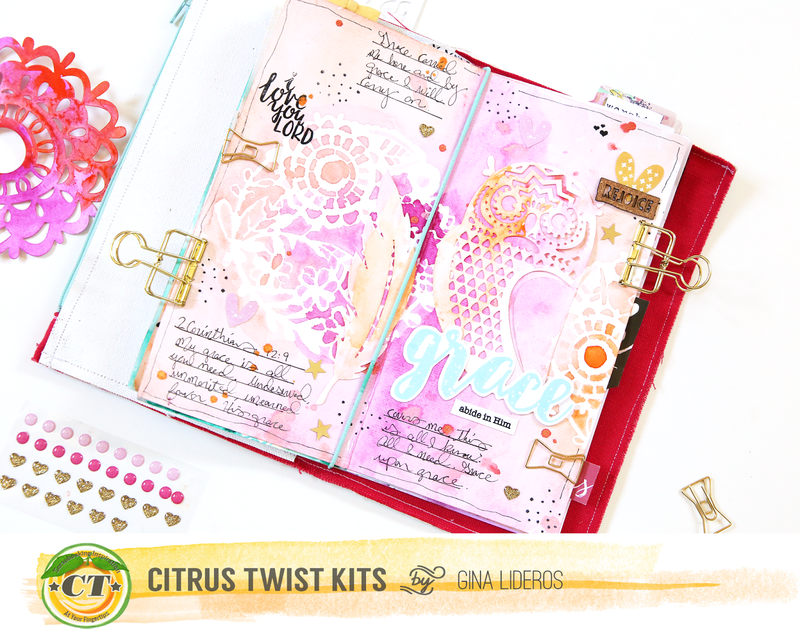 It's Gina Lideros again sharing with you a bible journaling page that I created using my August GraceBox kit. I absolutely love the die-cut paper tags (Amy Tangerine) that are included in this month's GraceBox kit. As soon as I saw them I knew right away that I wanted to add watercolors to them. 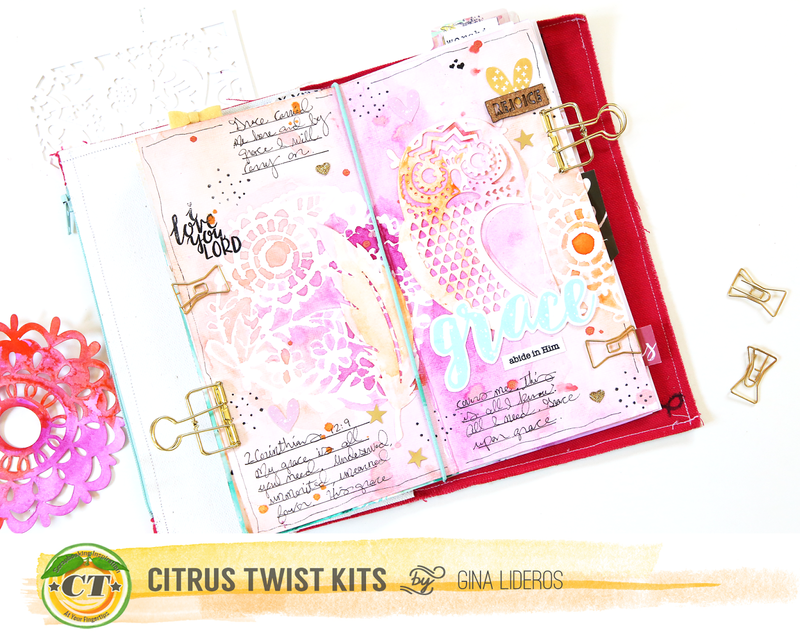 They inspired by art journaling pages this month. 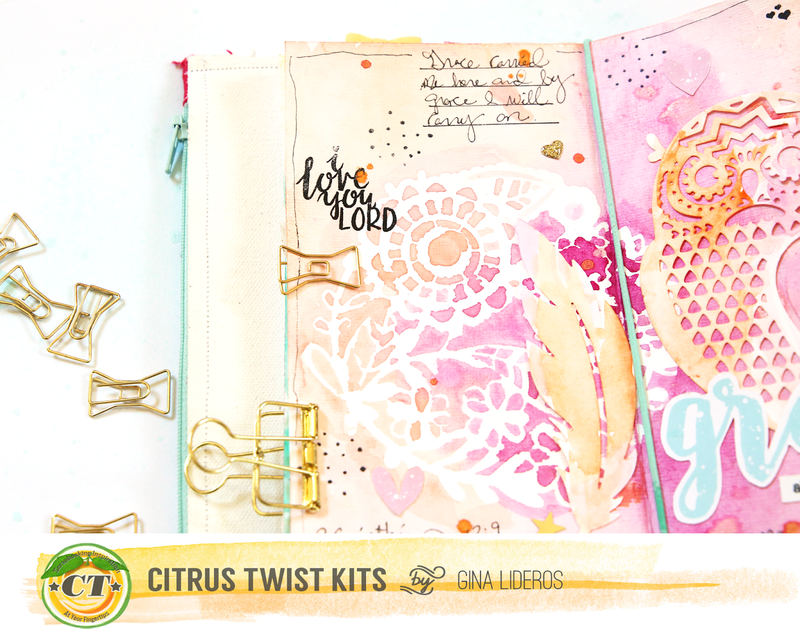 I started by covering my pages with a thin layer of clear gesso. Once, the gesso dried I decided to use the die cuts as stencils. I placed one of the doily stencils on the left side of my page and then painted with watercolors over it. 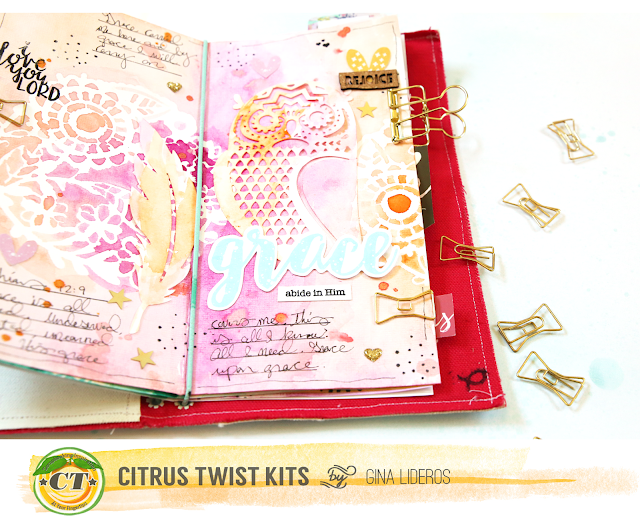 Next, I repeated this step on the right side of my page. 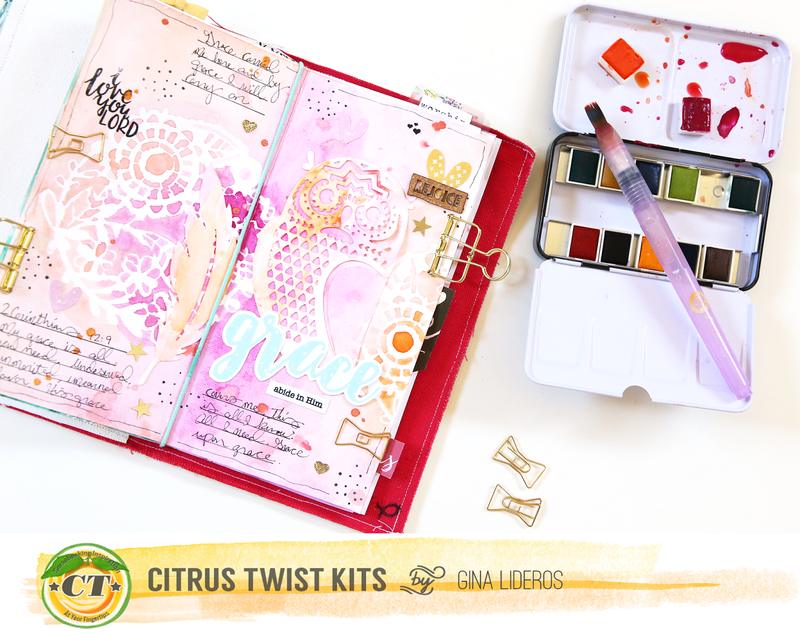 One of my favorite watercolor sets to use are the watercolor confections sets by Prima. They are highly pigmented, which I love - I can always count on them to be bright and bold. And they blend well too. On my pages here I used pink and orange from the Tropicals set. I also added watercolors to a die cut feather and owl, before adhering them down on my pages. 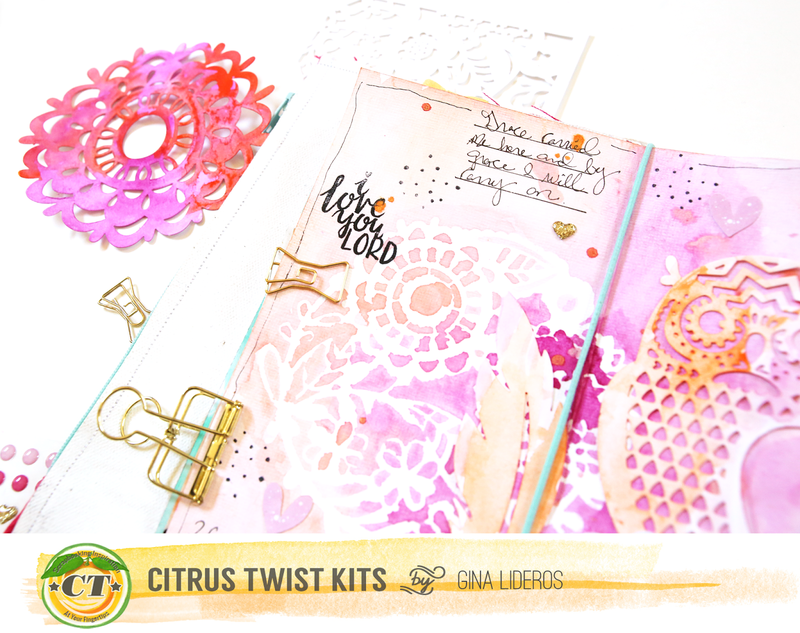 Next, I added some stamping and journaling to my pages. Since my journaling is about God's grace I quoted 2 Corinthians 12:9 But he said to me, “My grace is sufficient for you, for my power is made perfect in weakness.” Therefore I will boast all the more gladly about my weaknesses, so that Christ’s power may rest on me. 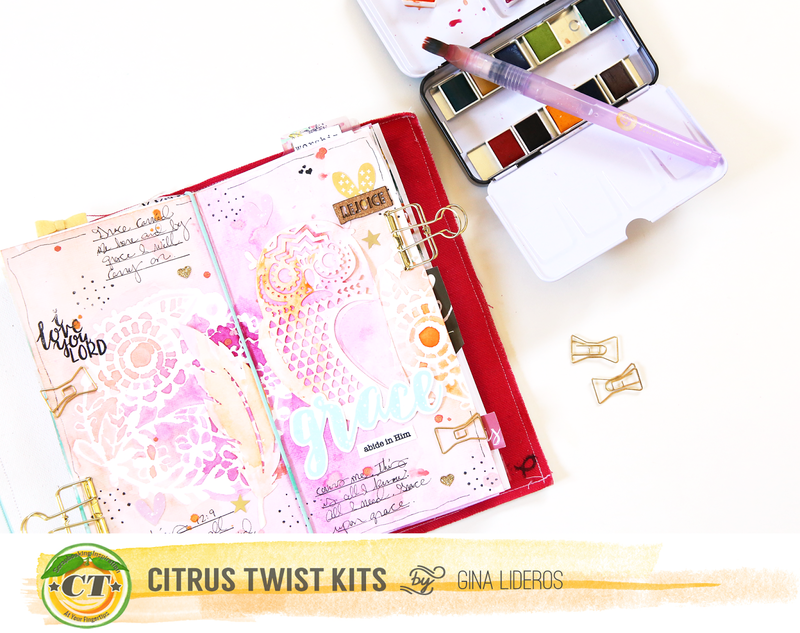 You can pick up your own August GraceBox here! I can't wait to see what you create with it!